You’ve been asking, and we’ve been listening! Introducing an entire section of our menu dedicated to our plant-based and vegan friends! One of our values here at Roots is excellence. We want to be excellent not only in the way we make our drinks, but also in sourcing the right ingredients to go into them. We’ve always been committed to quality over quantity, which is why while you may see fewer option on our menu, we will always strive to provide you with high-quality options that change seasonally. This season, we are so excited to introduce you to an entirely new section of our menu - Plant Based Signature Drinks! With intolerance for dairy at an all time high and people looking for lower sugar options, we’re excited to announce three brand new drinks that are entirely free from animal products and come by default with alternative milks. Sea Salt Mocha - a combination of our dark chocolate, house-made vanilla syrup, espresso, and steamed almond milk topped with flaked Maldon sea salt. You’ll be able to try all three of these drinks starting on 2/26, when our Spring Menu launches! This new menu will also include new vegetarian sandwiches, Gluten Free & Vegan bakery offerings, and more local ingredients from our amazing community!! We’re so excited to debut four drinks as a part of our Winter Menu! Minter Mocha - this drink combines house-made mint syrup, our signature cocoa blend, espresso, and steamed milk. It’s minty. It’s chocolatety. It’s everything you want in a Winter Drink! Megnog - this year, we hosted a barista throwdown to determine one of our signature drinks! All our our baristas brought their best and the Megnog won! This drink is made from house-made brandy syrup, espresso, steamed half & half, and it’s topped with nutmeg! It tastes just like eggnog, but lighter. It’s also tasty over ice. Golden Warmer - this tea based drink is sure to chase away the sniffles! It’s got turmeric ginger tea, chai, honey, and a dash of half and half at add depth! Minter Mocha Frappe - everything you love about our Minter Mocha, but in frozen form for those of you that love to drink cold drinks all year long! Well, folks, the day is finally here! One of our founding beliefs at Roots is to integrate sustainability into every part of our business - reducing, reusing, and recycling whenever we can. Making as many drinks as we can in for here mugs or glasses. Donating our coffee grounds to the community garden. Serving your food on real plates with real cutlery. Integrating disposable products made from sustainable sources where we can. But still, the “to go” nature of our business weighs heavy on our hearts as we know what that means for our earth. These to-go mugs are suitable for hot or iced drinks, the perfect 12oz size, and every single part of it is made from sustainable bamboo (with the lone exception of the silicone sleeve)! We hope this makes it easy for you to show your love for mother earth by switching to a re-usable option. We are so excited that our Summer Signature Drinks are here! These drinks have been dreamed up, designed, and created by our amazing team here at the shop! Read to the end of the blog post for a special surprise! A combination of fresh squeezed lemon juice, house-made lavender syrup, cold brew, and topo chico! Pairs great with our new Lavender Lemon Cake! 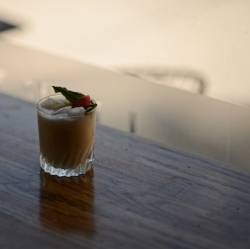 House-made strawberry-mint sauce mixed with topo chico and a strawberry ice cube, topped with a dash of heavy cream and garnish. Our classic cold brew, sweetened lightly with a dash of vanilla and milk. All new drinks are available starting June 1st, 2018 for the summer season. We have been working over the last few months on adding even more healthy options to our menu! We are excited with the results, which include keto-friendly, vegan friendly, GF friendly, and paleo friendly recipes. Here are some of the exciting additions and changes! First off, our almond milk is now made in-house and is free from any added sugar! This clean recipe feature almonds, water, salt, and vanilla and is simple and delicious (not to mention, makes a mean latte!) We're excited to bring this paleo, vegan, and low-sugar addition to your local coffeehouse! 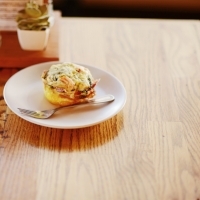 We've also added the keto-friendly, low carb Frittata Muffin to our morning menu! This muffin is made in house with eggs, half&half, prosciutto, spinach, tomatoes, cheese, and spices and baked to fluffy perfection. For all our Gluten-Free friends out there, we've added an assortment of GF items from Unrefined Bakery! We also have our GF Protein Board, with an assortment of GF crackers, cheese, meats, spreads, and pickles! And finally, for our Vegan friends, we're proud to introduce the Veggie Snack Plate! This little plate includes mixed veggies, GF crackers, and roasted red pepper hummus and makes the perfect little lunch or snack to get you through the day! We are committed to continually providing you with the best options to start and end your day - whether it be a healthy snack or an occasional indulgence. We believe in quality of products over quantity of options, so we're happy to provide our amazing customers with these curated, high-quality options for specific dietary preferences. Fall Menu releases this Friday, 9/15! New Fall Menu debuts 9/15! Cold Brew Class - July 13th! If you love cold brew, this class is for you! Join Barista Joe Cartwright as he explores the different ways to make cold brew. This class is FREE, but you must sign up and space is limited. On Saturday, April 8th from 2pm-4pm, Roots will be celebrating our EIGHT year birthday & the launch of our beer & wine program! Festivities will include an ALL DAY happy hour with tastings from our friends at Peticolas Brewing, Collective Brewing Project, Novel Coffee Roasters, and La Cigale Wines! 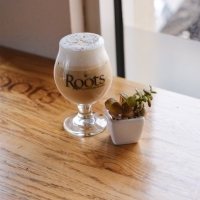 Also, be sure to pick up an $8 Roots tee and try our signature birthday drink special - a new twist on an old favorite: the Dude Sweet Nitro Cold Brew Float, featuring Melt Ice Cream! Thanks for your support over the last eight years and we can't wait to celebrate together on April 8th! Why is a coffee place such a great spot to meet up with someone for the first time? It's a fun-filled environment that isn't pressuring or stressing. 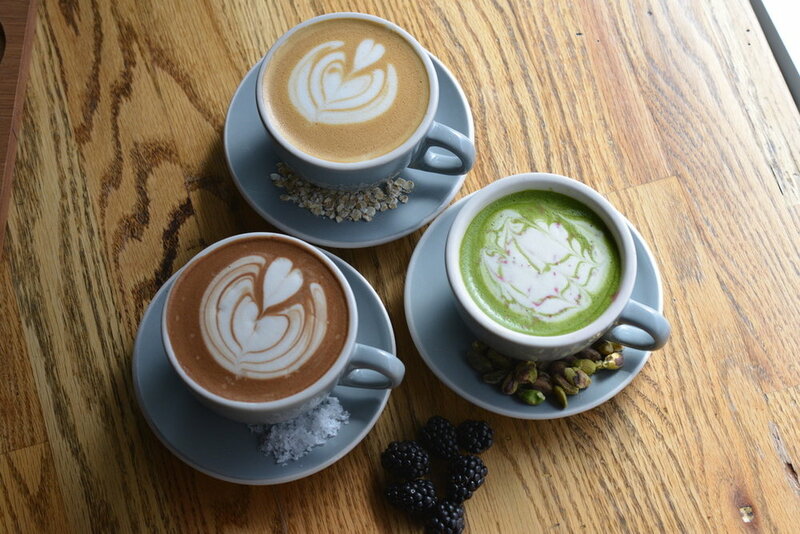 First dates or get-to-know-you meetings are relaxed when they happen over great coffee. First-time connections can be scary. Don't pick a place that is scary as well! Most everyone loves coffee. So a coffee place is an ideal spot to find a commonality. And for those people who don't like coffee, well, there is tea. When you haven't seen your best friend in ages, a coffee place is the best place to go to catch up on life. It's calm enough to have extended conversations and yet is vibrant with enough activity to keep it fun. 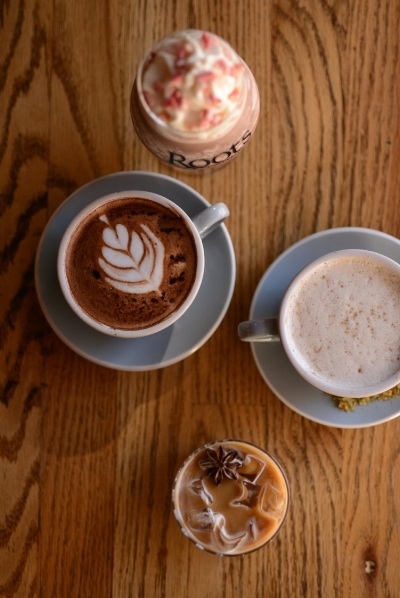 Friends commonly convene at coffee places when they want to make the most of their reuniting! Of course, this happens too. Not every day. That would be too much. But you're not the only one who's met someone for the first time at your local coffee shop. It happens all the time! Meeting complete strangers is sometimes the perfect complement to a cup of your favorite coffee. That's one of the best things about a coffee place. It brings people from all over who have experienced so many different. things. It's an adventure to meet them and discover who they are. If you haven't seen all of the social media posts... We are now serving wine and beer! Now you have no more need to search for bars in North Richland Hills or pubs in North Richland Hills! Come by in the morning for coffee and back in the evening for some beer or wine! See you soon! As humans, we don't just want to connect with relation to things, but with a relationship with other humans. We want our lives to be enriched with great people. Connections happen at coffee places because people are intentional when they meet there. Connections are what make us feel a part of something bigger than ourselves. It's not just networking, it's being human. We don't just want to feel connected to other people, we want a place to call home. The second reason why people meet at coffee shops is because it's a place you can be yourself and have a good time on a regular basis. It's a place you can make memories. It's a place where you can enjoy life and enjoy the company of your friends and family. Business isn't just conducted while at work. It can happen anywhere. Small businesses, large businesses, entrepreneurs, they all appreciate the atmosphere of a local coffee shop for meetings and doing projects. Free wifi, great beverages, and a hit playlist for their background music make businessmen everywhere choose a coffee place rather than somewhere else if they have the option. Although this is the last on this list of reasons people meet at coffee shops, it's probably the strongest one. Understandably. People make it a point to go to a craft coffee shop to get their coffee because they know it will be quality and have a great taste. So we make it a point to have our meetings at a local coffee shop. No one complains. If you haven't seen all of the social media posts... We are now serving wine and beer! Now you have no more need to search for bars in Grapevine TX or pubs in Grapevine TX! Come by in the morning for coffee and back in the evening for some beer or wine! See you soon! Why would you go to a coffee house? Why do people spend so much time there? Where is the appeal stemming from? It's all about relationships. As human beings, we are relational through to our core. Without the relationships we inherently crave, we dry up inside. So what makes a coffee house in North Richland Hills the best place to cultivate those mandatory relationships with other humans? A coffee shop or coffee house isn't just a place to grab a quick cup of joe and head away. Though it's a great place to pick up on-the-go, quality coffee, our coffee house can be more than that if you want it to be. 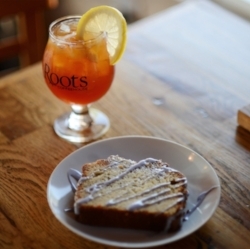 Roots Coffeehouse is about relationships and community bound together by fantastic tasting coffee. Coffee houses make you feel like you belong. From comfy couches to hipster decor, the coffee house is designed to be a place of acceptance. People of the most diverse backgrounds can walk into a coffee house and find a way to call it home. Whether you come to our coffee house every day, or once a year, the coffee house speaks for itself. It outlasts time and grants the ability to connect with people of like-mindedness and gain new perspectives. Our coffee house in North Richland Hills is a place where everyone is welcome, and where people come to enjoy people. Speaking of people, have you ever stopped to consider how universally appreciated coffee really is? Whole countries use it for their primary export, and literally millions of people drink it every day. People from the far reaches of the world come together around their shared love for coffee. It's not just a caffeinator, it's a talking point, a soothing beverage, and a treat that makes your day. No wonder people throng toward coffee houses when they need energy and people connection. Coffee is universal. And so are coffee houses. Who could possibly be in a horrible mood after a cup of great coffee? It's unlikely for this ever to happen. The fact that great coffee can lift your day means that a coffee house is a great place to cultivate a relationship. It's not about being in a good mood all the time. Everyone has their days. But when people are happy, relationships thrive. And people are mostly happy in their favorite coffee houses. A sip of that Chai Latte can do wonders after a long day at work. And before you know it, you're opening up and chatting with your friends like the stressful day never happened. So where do you go to cultivate your relationships? Relationships are hard work, but you can cultivate good ones over a cup of your favorite hot drink at your local coffee house. You can make lasting connections with people you would never have expected. All you need is to be open. Coffee can be acquired almost anywhere nowadays. Gas stations, churches, coffee houses, workplaces, friends' houses. It seems like everywhere you look, coffee is available. This is not a bad thing necessarily. Coffee is good. In fact, coffee can be great! But what are we sacrificing by drinking the stuff that comes out of that questionable pot and looks that questionable color? Here's why going to a craft coffee shop is worth it, and why it's the best place to get your daily cup of joe. Have you ever walked over to the coffee station, pulled out a cup, poured yourself some coffee, took a sip, and instantly regretted it? Everyone's done it. And it's a shame. There's no going back after taking a swig of that awful beverage someone thought they could call coffee. And it only goes downhill from there if you opt to finish the cup. Taste is everything in our North Richland Hills coffee shop. If it doesn't taste like quality coffee, it doesn't deserve the name. And though you might find coffee on all different levels and spectrums as you go about your day, you can rest assured that we don't compromise on taste. A craft coffee shop is one of the few places that can guarantee a great tasting cup of coffee. Do you know where that great taste comes from? It's not an accident. Nor was it arrived at by a series of lucky guesses. Nope. Great taste is the direct product of superior quality. And superior quality starts at the coffee farm. At our craft coffee house we take the very best coffee from the farm to give you the very best coffee in your cup. And we don't stop there. Every step is a determining factor when crafting quality coffee. How it is roasted, how it is ground, when it is ground, the temperature of the water, etc, etc,. Only a craft coffee shop is going to guarantee such quality in your delicious beverage. Most people go to a craft coffee shop in North Richland Hills for more than just the quality of the coffee, however. Well, a lot do anyway. Because a craft coffee shop offers more than just coffee and pastries. Coffee houses have developed into places of relaxation and conversation. They are a great daytime or nighttime place to get together with friends, catch up with relatives, or simply unwind from the day. It's an atmosphere that encourages one to chill out and rejuvenate. Although many people go to a craft coffee shop to relax or hang out with friends, they provide a great workspace as well. It's a setting similar to working from home, but without the distraction of an available tv and bed where you just want to stay in and watch all day. 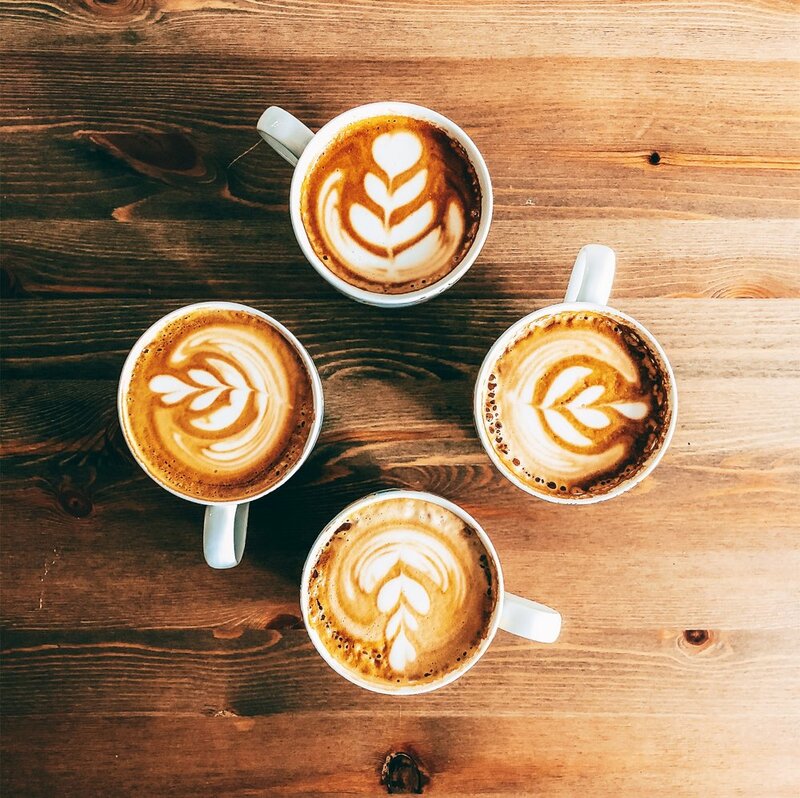 Productivity when working in a coffee house can significantly increase for many people who need a stimulating environment. And it's not just for business, but for homework as well. Assignments and papers are definitely less burdensome when you have your favorite kind of coffee to sip as you work. Board games just mix with coffee too well. Two-person or six-person games, people from all over town meet up at the craft coffee shop to play. Board games make for a good time and so does quality coffee. Bringing the party to the coffee shop is a great way to engage with friends! 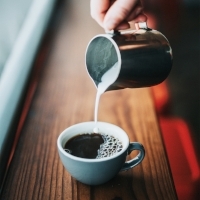 Last, but not least, on this list of coffee-themed reasonings, we must mention the baristas. Baristas may come and go (although most of ours have been serving our customers for years! ), but the thing about them is that they can change your day from negative to positive with great service and great coffee. 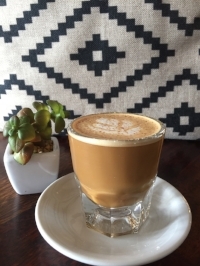 When you come to the craft coffee shop in North Richland Hills, it's not just coffee you're getting, but care and service that you can appreciate in this age of limited customer service. Our baristas are kind and friendly and amazing. And they work hard to ensure the best experience. Just another good reason why a craft coffee shop is the absolute best place to get coffee. If you haven't heard by now, we are serving beer and wine! Now you have no more need to search for bars in Hurst TX or pubs in Hurst TX! Come by in the morning for coffee and back in the evening for some beer or wine! Now you can have great, local beer in North Richland Hills! Craft Beer on Tap & Wine by the Glass now available! We are so excited to announce that, starting today, Roots Coffeehouse will be serving craft beer on tap and wine by the glass in the evenings! We are also debuting a brand new evening food menu which includes an assortment of house-made boards, tarts, and grilled cheeses! Now you can have great wine in North Richland Hills!